A few week back we took Tiger girl out for tea without her brothers on a bonding shopping session. 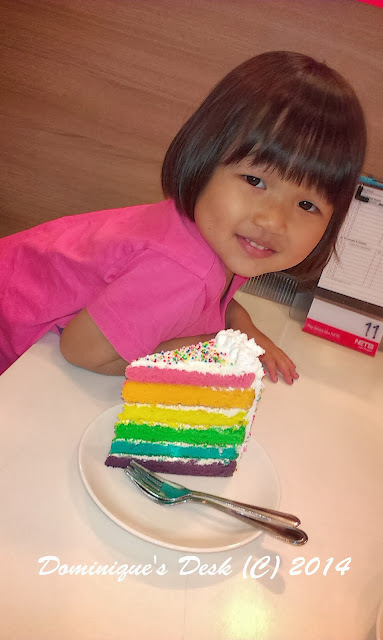 She was attracted by the lovely colors on the slice of cake and insisted that we ordered this slice for her. I think she regretted it big time when she finally got to taste the cake. It didn’t taste as good as it looked. In fact she ended up eating the chocolate cake that I ordered for myself instead of the slice of rainbow cake. 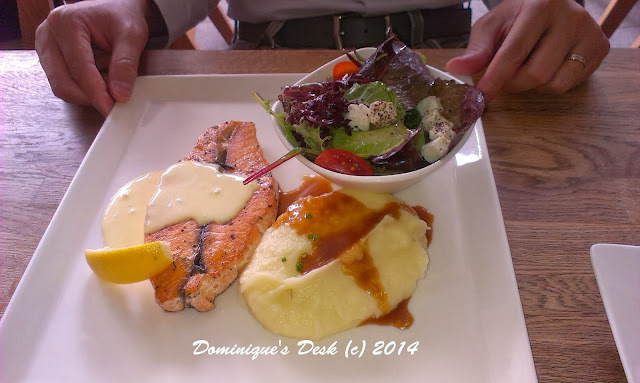 I ordered this set meal at Table Manners during one of the rare occasion when R and I were able to meet up for luncheon on a weekday. The portion was rather small but it was yummy. Eating the dish gave me inspiration on what to serve the kids during the weekday nights. that’s too bad about the rainbow cake… and your second shot looks delicious!